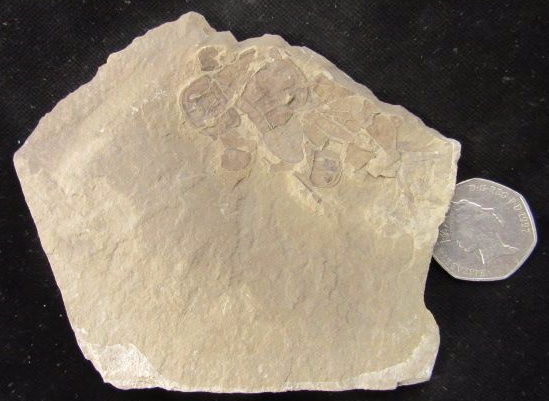 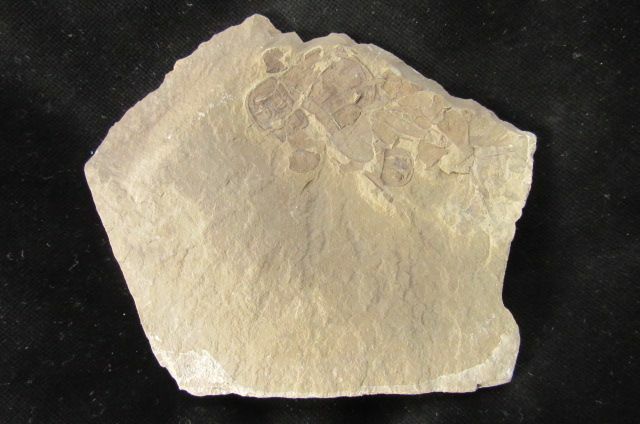 Palm sized slab of buff siltstone showing a cluster of Eurypterids which has undergone 'moulting'. 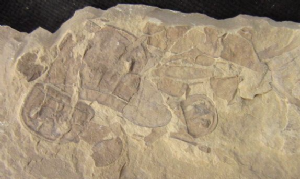 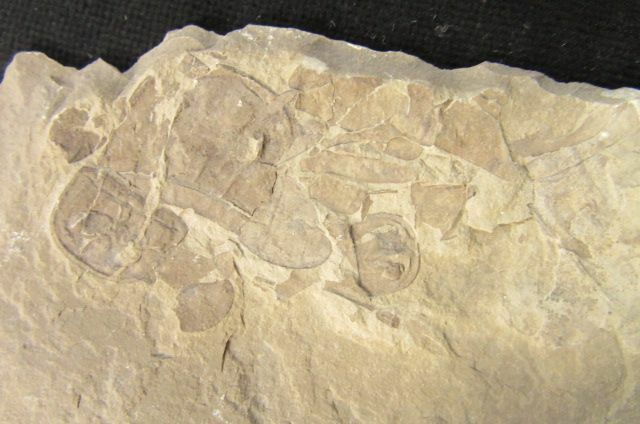 Various heads and body parts belonging to at least six single Eurypterids are lying in a jumbled mess. 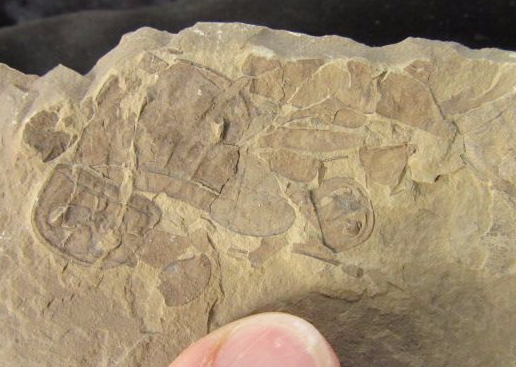 Lovely detail under magnification.